NEWLY RENOVATED! 2 BLOCK WALK TO THE BRAND NEW SHAWMONT TRAIN STATION!! You have to see this place to believe it. Practically like new construction. 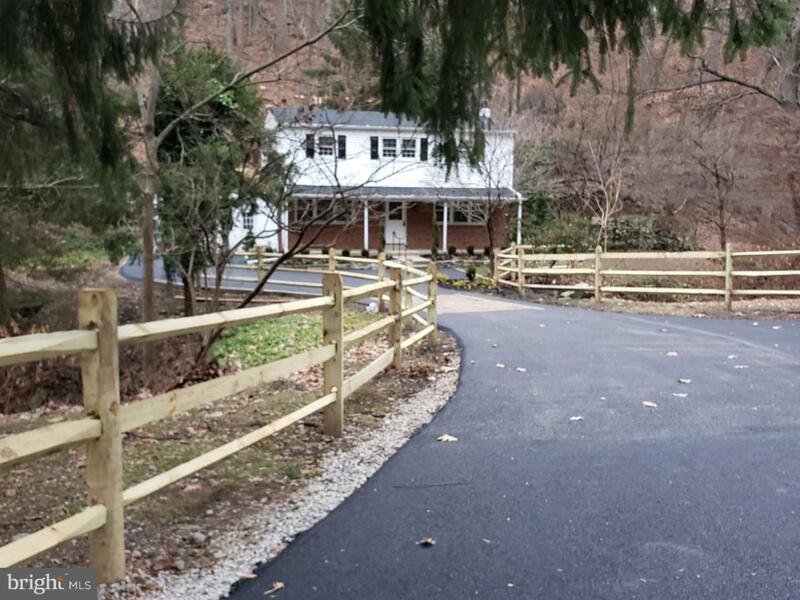 Nature lovers dream home sits on 1.46 acre lot with stream in desirable Philadelphia location of Roxborough. Very special one-of-a-kind single home that, although it is in Roxborough, is very close to Manayunk and all the wonderful entertainment and restaurants it has to offer. Welcoming front porch where you can set up the rocking chairs to enjoy the sprawling landscaping. Newly renovated with all new bathrooms, floors, and paint. Newly refinished driveway, new roof and large new deck that gives a bird's eye view of the property. Brand new central air! Eat-in kitchen has been newly remodeled with stainless appliances and granite counters. Step down family room with fireplace and 2 exits to natural gardens. Plenty of space on the property to expand the home. Enjoy entertaining in the formal dining and living rooms. Laundry on main level. Full basement unfinished but very tidy with higher ceiling heights for easy finishing. Second story features owners suite, 3 other bedrooms and a hall bath. Rare opportunity to enjoy the best of the city and suburbs! Easy access to all major roadways.